"Walking Towards the Tent, Commencement ca. 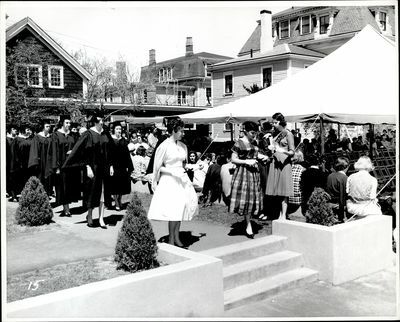 1940s - 50s"
Commencement procession of students preparing to enter tent. Students are led by two women down a set of steps.